Some families have a tradition of wearing matching pajamas for Christmas Eve. This pattern is great for making easy memorable pajamas! Men’s Hood Pattern, makes great pajamas! I loved this pattern the moment I saw it. Our adult children are way past the age of wearing matching pajamas, but this pattern seemed like it would work for all of them. It’s technically not for pajamas, but the casual style and trendy hoodie is something that they all love. The pattern calls for knit and woven fabric which is rather unusual. The front of the shirt, the placket, pockets and front pieces are all woven material. The sleeves, back and hood are a cotton knit. Soft woven cottons and jersey knits make great sleeping attire and I love them together in this pajama set. I haven’t made the pants yet, more on that soon! This Near and Deer holiday fabric collection from Hoffman Fabrics is perfect for guys. It’s not too cutesy, or outrageously colored. It even has manly deer and stripes. Our son was thrilled with my fabric choices for this project. You can’t go wrong with classic black and white! Laying out the pajama top with 2″ added for the length. The cotton fabric is 44″ wide, but since the only woven pieces are in the front cutting the narrow width wasn’t hard. I added 2″ to the length at the waist for this McCalls M747 pattern. My system is to cut the pattern apart and measure the gap for the amount needed. The pattern seemed to fit well overall and was very straight forward to sew as per the manufacturer’s directions. The placket and pockets were designed to be cut on the bias for the plaid fabric in the pattern photograph. I changed and cut them on the straight grain for this project. The only reason to cut them on the bias is to not worry about matching the plaid, and since I wasn’t using plaid there was no reason to cut them on the bias. I made the front placket and pockets out of the same deer print fabric. Sewing with this high quality cotton is easy, it does’t stretch or shrink as you work with it. I always look for the highest quality goods, and prewash them before cutting. This fabric is amazing, it was easy to work with. The deal was that I wasn’t supposed to show our son’s face on the internet. He’s rather shy. I sorta lied about that. He’s so cute, why not show it? You won’t tell will you? SHHHHH! Our son was kind enough to model his new pajama top for this post. Now to make some more of them for the other family members! This is a sponsored post. Any opinions given are completely my own. 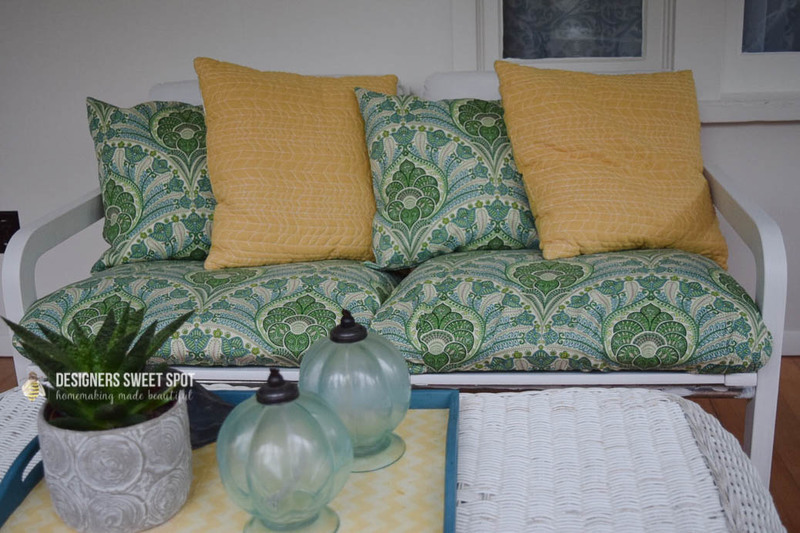 Thank you to Hoffman Fabrics for sponsoring this post!